Overall size: 22.7 x 28.5 cm. Image size: 19.5 x 26.5 cm. Description: Two antique world maps on one sheet. 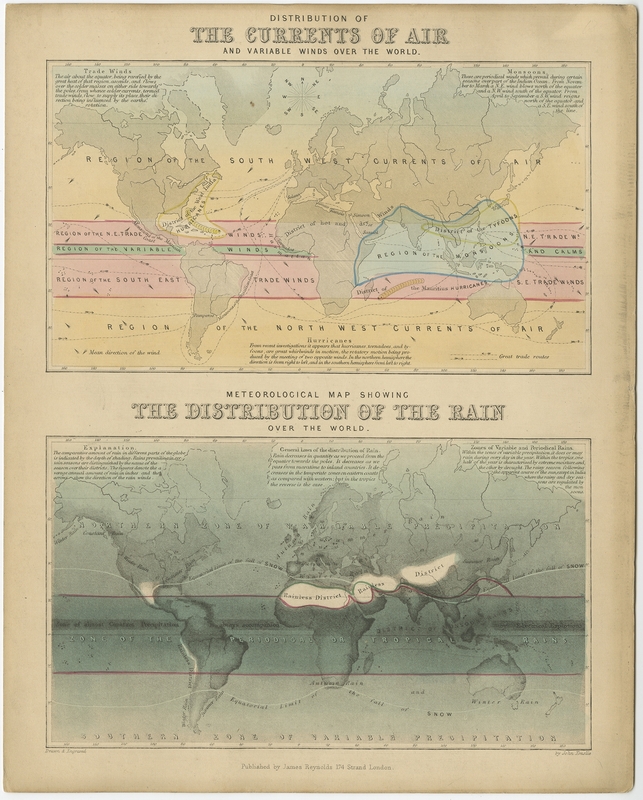 The upper map shows the distribution of the currents of air and variable winds over the world. 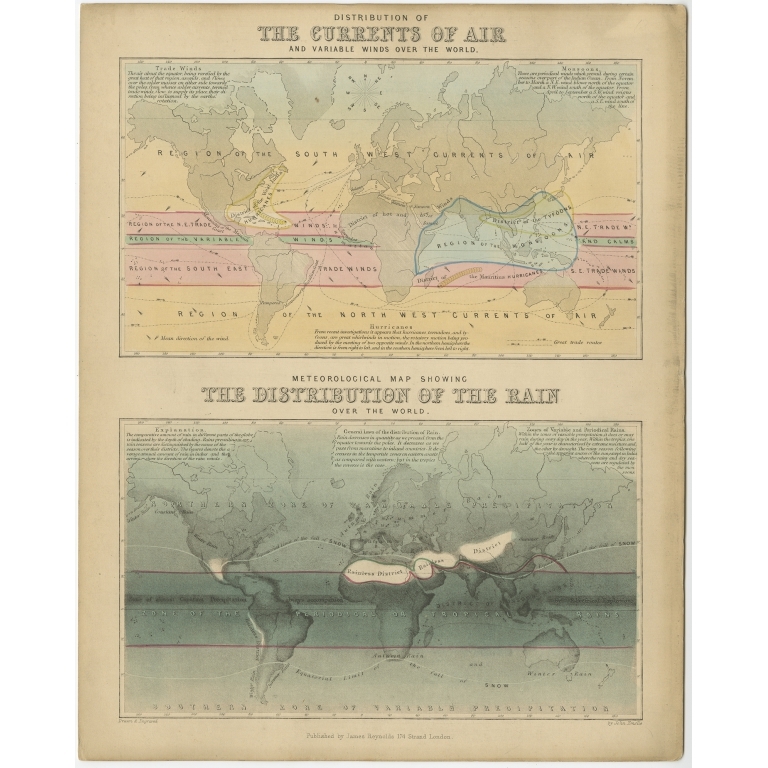 The lower meteorological map shows the distribution of the rain over the world. Originates from 'Geographical Diagrams '.